The SFTM Top-Mount Pool Sand Filter directs water evenly across the entire surface of sand without sand migration or channeling. 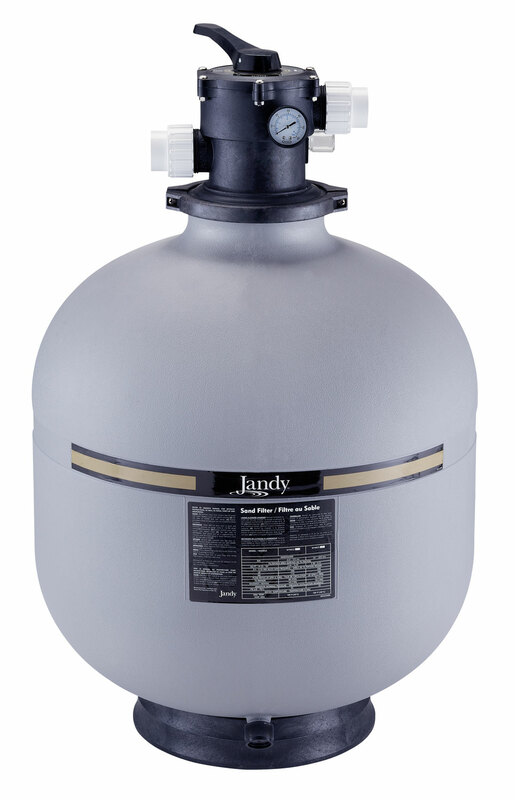 Top-mount pool sand filters contain an extra deep sand bed for improved filtration. Its blow-molded tank is corrosion- and UV-resistant with a bottom drain that’s ideal for winterizing and draining. Other features include 7-way dial valve with "sight glass," automatic air relief and pressure gauge.